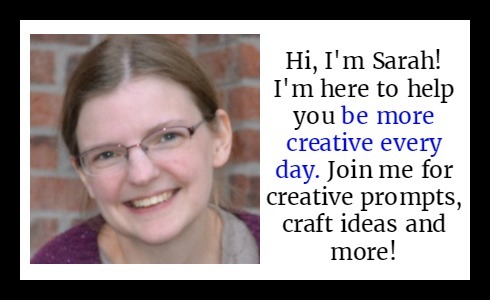 I think (assume, hope) that all crafters from time to time have projects that get put in time out. Whether you made a mistake and you aren’t sure how to fix it or you’re frustrated, bored, annoyed or otherwise done with that project before it is finished, it gets exiled to some place where it might never see the light of day again. I have a lot of these projects. Some of which have been abandoned for an embarrassingly long time. Like that sweater I started during the ice storm of ’09. It was dark brown Garter Stitch, the first project I tried knitting continental because what else was I going to do in the dark? I got front, back and maybe a sleeve done before I abandoned it. (Maybe I should make it a vest instead.) Or this quilt top. I’d swear I started making it in high school, but there is definitely fabric in there from after college, but either way it’s probably been at least 14 years since I last worked on it. I remember making a template out of cardboard to cut out the squares from (which clearly wasn’t that accurate). I think I got frustrated that it wasn’t coming out perfect, so I gave up on it for a while. I pulled it out over the weekend and realized it’s big enough to fit our guest bed. 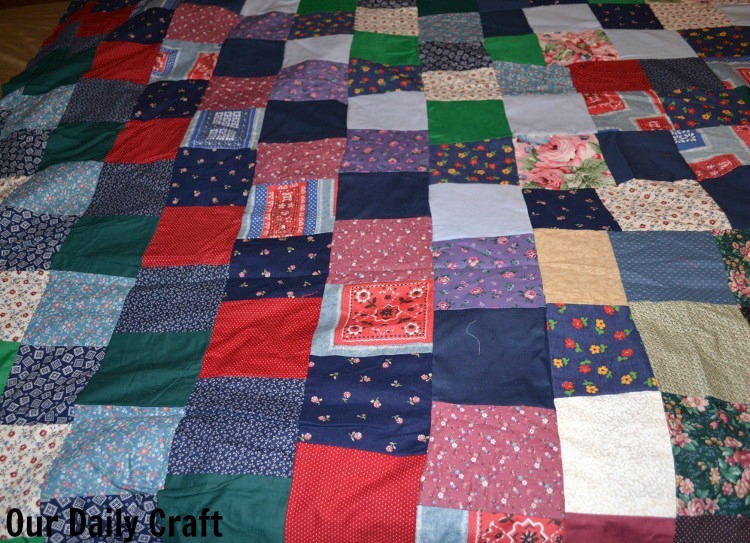 I trimmed the edges so they were more or less square and almost declared it ready to turn into a quilt just as it was. But the more I thought about it, I really wanted to add to it. I’d love for it to be big enough for our king-sized bed, and it won’t actually take that much more to get it there. I don’t know if we’ll actually use it on the bed — I’m not going to add any batting so it would be a good summer quilt — but I like the idea that we could. I also like the idea of making it a picnic blanket, a fort-building blanket, a book-reading blanket, a snuggle-by-firepit blanket. A memory-making and -keeping blanket. It’s already that, and even more so now that I’m adding newer fabric. There’s the fabric I used for the dress I wore to the FBLA conference the year I was regional secretary. That crazy pink floral that was as bad a fashion decision as the bad perm I had at the time. The solid green was a backdrop for a 4-H booth at the county fair. There’s fabric from Felicia’s baby blanket, and the dress I made for that stuffed bunny. There are fabrics that never quite made it into other projects. And now, there’s that bubble skirt I made for the girl that I loved so much and wish I could remake in the same fabric. The bright orange sundress (the only orange in the whole quilt so far). The dress that got me featured on CraftFail (it’s still in time out, too, though I know how to fix it now). There’s fabric from a little rattle I made when she was a baby. It’s funny how fabric can conjure memories like that. 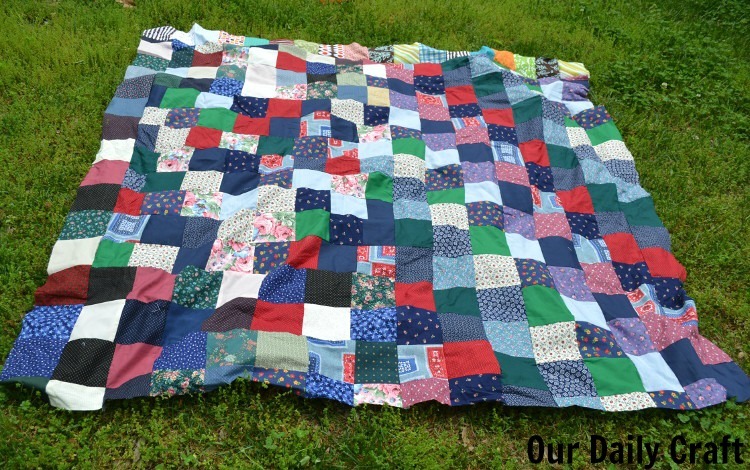 The quilt, despite its many flaws, is a perfect carrier for those memories and the new ones we will make using it. That’s worth getting it out of the drawer and finishing it up, isn’t it? 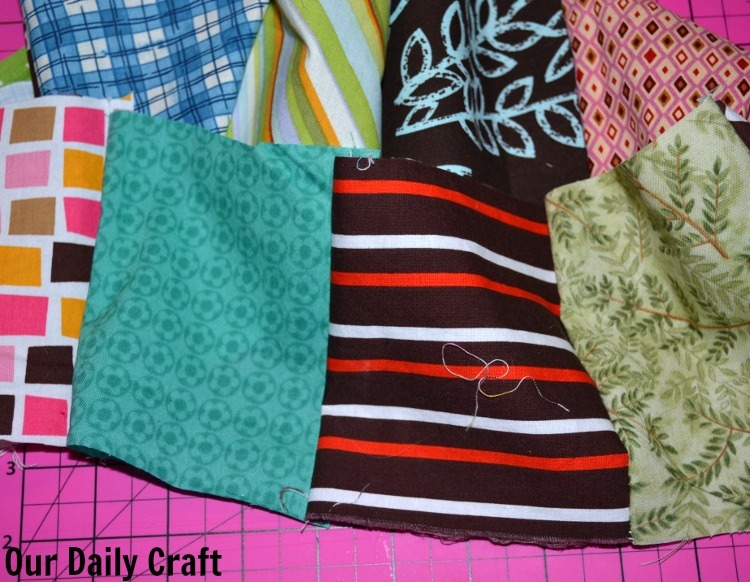 So I cute some squares, sewed them together, and added one more strip to the side. For now. I need a lot more fabric bits to add a couple more strips to each side, then maybe it will be big enough. There will be an update when I decide how to back it. I have notions. 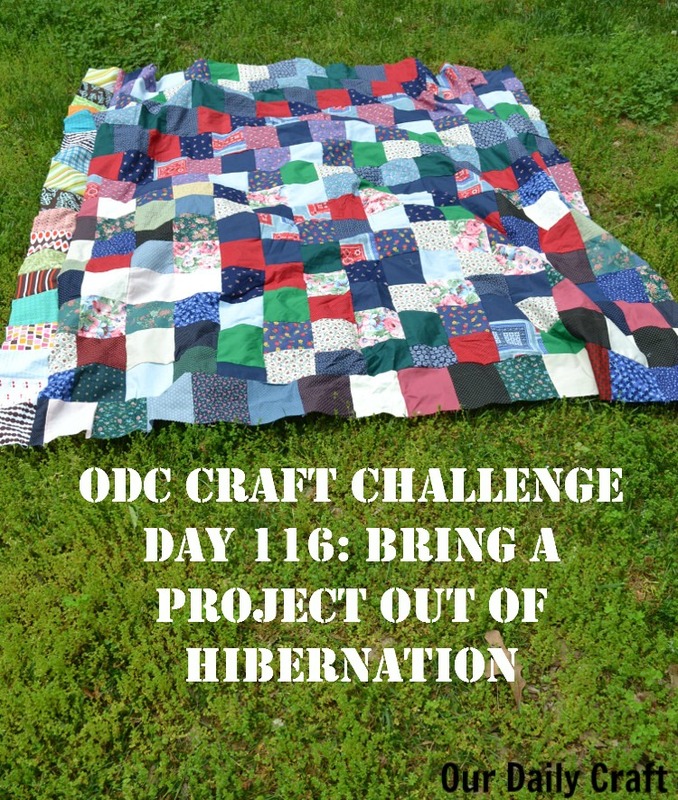 Do you have a project you can bring out of hibernation? I’d love to hear about it!